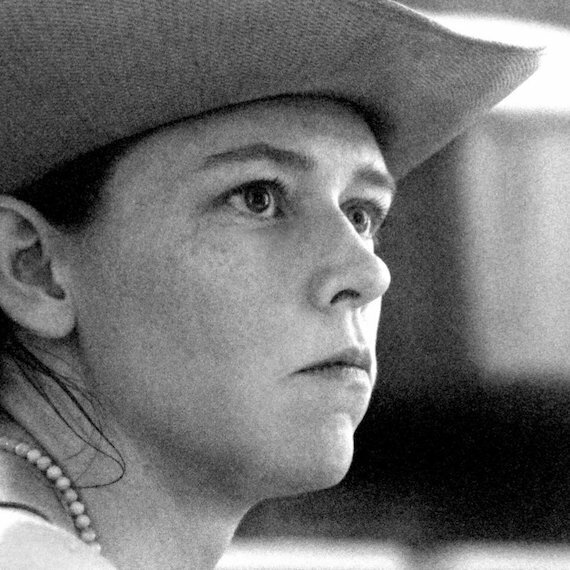 Few songwriters cut to the core like Gillian Welch. Along with her musical partner David Rawlings, Welch pens songs that feel at once timeless and rooted in the deepest American musical traditions. For the Welch, traditional folk forms offer a language for approaching the human condition, a lens through which to view love, loss, death, and spirit. Emerging with 1996’s Revival, she’s merged bluegrass, blues, and Appalachian music into a singular Americana sound. Her subsequent albums – including 2001’s Time (The Revelator) and 2011’s The Harrow & the Harvest – aren’t only classics, but stand as some of the finest folk records of the new millennium. Last month, Welch joined us on the Aquarium Drunkard Transmissions podcast in advance of her “An Evening With” tour dates with Rawlings, and the forthcoming vinyl reissue of her 2003 LP Soul Journey, due August 10th. We spoke to Welch via phone about her attention to the long player, album-length statement, and how it’s resulted in such fine lps. That conversation, minimally edited for clarity, is presented here. Aquarium Drunkard: I want to start off by asking you about one of my favorite songs of yours, “Everything Is Free.” When you wrote it, did you have any notion how prophetic that song would end up being? It certainly seems to speak to our current moment. Gillian Welch: Sadly, it does speak to our current moment. It spoke to the moment I wrote it in. I wrote it in either very late 2000 or very early 2001, I can’t quite remember. The whole Napster thing was really starting to have an impact and I just remember I was really, really sad. I just became very afraid that playing music wouldn’t be a sustainable career, you know? I thought, “What are we gonna do?” That’s kind of in that song. It became really clear to me that I would never stop playing music, but if it was not my career, I would have to do something else to make money. And so music would become something I did for myself, in the privacy of my home. I’m seeing that around me now. It’s been really interesting, I have so many friends and acquaintances that are in their 20s and they really don’t view music as a viable career. They’re kind of giving up or they’re not thinking about it in the same way that I did, really. So I don’t know, I’m sorry that it’s not better than it is now. I don’t think it’s always gonna stay this way, but it’s an ongoing conundrum. AD: On one hand, reading those words, it feels like you were reading tea leaves. But at the same time, there’s something pretty timeless about musicians getting ripped off. That’s just one of the true stories of the music industry to some degree. Does it feel any better now than it did then? Gillian Welch: I don’t know. I mean, my partner David Rawlings and I, we’re managing to make it work. I can’t say that I have any idea what you would do if you were starting today. I feel like mentally, I still kind of operate a little bit in a world that no longer exists. [Laughs] I just sort of keep doing my thing. Luckily, David and I love performing live and like touring. I’m happy to have that be a big part of my life. I love driving around the country in a car, going and stopping each night and playing a show, then driving to another town the next day. So, you know, we’re kind of in the long, long tradition of traveling troubadours. We’re also kind of going backward and are finally putting out phonograph records…That is a tangible thing, if you want that thing, if you want to be able to play that music, another upshot is you do have to buy it. It’s a thing. [Laughs] So we’ve really put our heart and soul into the pressing of our music on vinyl. I kind of hit the scene at the sort of the dead point of vinyl, so this is the first time we’ve ever had our music as long-playing records. We always knew we were going to do this eventually; we always made the albums, made the music, recorded the music, with this in mind. Our records have always been set up with side breaks, you know, so you could flip them, even though you didn’t flip a CD. AD: Your music is suited really well by the [vinyl] format. Sonically, for sure, but also art-wise. The cover for The Harrow and the Harvest, I mean — [the artist] John Dyer Baizley — that’s such a beautiful cover. I love that there’s a direct thread connecting you to like Pig Destroyer or something like that in terms of the bands he’s [done art for]. Your records are served well by that format. Gillian Welch: We work completely analog. It’s a really natural last step. You should listen to our records analog. They were made to tape. We’re pressing all the records from the original master tapes, directly from the master tapes. We’re not even going down a generation and making a master tape dupe. We’re literally doing everything we can to have the sound as good as it could possibly sound. I’m really excited about what’s going to be our next vinyl release, which will be Soul Journey, our record from 2003. I actually think we made the record sound substantially better. It had some problems when we went to make that record a CD. I’m really kind of proud and pleased. We actually made the record sound better pressing the vinyl. AD: Because obviously, on one hand, people are listening to records now. So that means that they’re modern, it’s not solely in the past. But at the same time, I think there’s something very interesting about that fact that on streaming services, a lot of what people are hearing are singles, selected specifically for playlists. What’s important to you about the act of listening to an album, a full-length recording, as a single statement? Is that something that’s important to you? Gillian Welch: It’s very important to me. You know, I’m pretty sure that the music that changed my life was album-oriented. I certainly have favorite songs, like anybody, but I’m a kind of ponderous person. I’m very patient. I really think that for something to just completely transport me, the most transformative and transportive moments I’ve had with music have been with albums. It’s incredibly important to me. David and I have always approached recording and releasing our music as an album-based artform. Time (The Revelator)…that was the first time we really, really planted our flag. I’m not really sure we called it a “concept album,” but [the overall sequence] had a big effect on which songs got finished. I’m definitely an album-oriented person. I’d probably be more famous if I were a singles person, you know? Hits, real life hit songs, they transcend the album. A hit is a single, and probably the closest that we’ve come to that is “[Look at] Miss Ohio.” I think that’s one of the few cases where there’s some people walking around who know that song who don’t know it’s me, they don’t have any records of mine, but they know, “Oh me oh my oh, would you look at Miss Ohio.” That’s probably the closest thing to a modern nursery rhyme that I’ve written. AD: When you’re talking about connecting to work in terms of album-length statements, that’s definitely what I think of. I think of that listening to Time (The Revelator). I think about it a lot listening to Poor David’s Almanac, the most recent record you and David Rawlings made. Gillian Welch: That’s a concept record in its way too. It’s really of a piece. There was this idea behind the whole making of that record, and the idea came from Dave. It really had to do with folk music [and the question] what is a modern folk song? AD: That’s really fascinating. One of the things that struck me as I started to think about all of this was obviously, yes, your records have this flow and the stories interact with each other, but in a strange way, a lot of the sources that you draw on in terms of Appalachian music, folk music, country, and blues, [the original] songs [you reference] did sort of exist outside of an album-format, you know? They were vernacular songs, they were passed around. How do those to things dovetail or work in concert in terms of your discography? If that makes any sense. Gillian Welch: Perfect sense. You’ve actually hit upon an aspect of what we do that is one of the most modern traits of what Dave and I do. You could argue we write folk music, but the way we play and the way we record, how we choose to present ourselves to the world, with this very particular flavor that carries through everything we do, this album-oriented-ness, this is probably the most modern thing we do and why we’re not in our way trad folk people. AD: Where does that album thing come from for you? What are some of the records that you heard that modeled the idea of what an lp should be, the story it should tell? Gillian Welch: Well, for cohesiveness and just general transcendental perfection I have to mention Van Morrison’s Astral Weeks. AD: We talked about that album on the podcast a couple months ago. There’s a great new book about that album. Gillian Welch: That album is so of a piece, of a moment. The kind of performance that runs through it, both Van Morrison himself and the musicians, I don’t know. That’s a really magical record for me, as for so many other people. Let’s see. There are Stanley Brothers records, but that’s different. They’re just cohesive and focused because they didn’t change anything, they took their live performance and just put it to tape. Then there was the record. I’m a huge Jimi Hendrix fan, so possibly I’d mention something like Axis: [Bold as Love]. I don’t know, what comes to mind for you? AD: As albums that hold together as a singular statement? AD: Well man, I’ve been listening to a lot of Springsteen lately for a piece I’m writing, so I think maybe a record like Nebraska holds together in terms of just a pure statement. Gillian Welch: That’s a great record. I’m really interested in this idea of the way that while you obviously play with folk music — those are the paints that you’re drawing from for the art — the folk songbook to a degree. But [your work] feels modern. I think it can be so hard for an artist to walk the line between being a “revivalist” versus making a pastiche. I don’t think your records fall into that latter category at all. They don’t for me, because they achieve the chief aim of good songs, which is to make me feel things. I feel things when I listen to your music. But I do wonder if for you as an artist, is there a way to walk that tightrope between being a “retro” songwriter and being someone who wants their art to exist in a lineage? Gillian Welch: Here’s the thing. I don’t worry about it and I don’t think about it too much, because the vocabulary that I use comes out of me pretty naturally. This is the best way I can actually manage to communicate. These are the strongest images and words and settings that I can muster to get my point and my feeling across and to have it translate. I’ve never been the kind of person who can just come right out and say something. In fact, Dave was recounting to someone the other day [how] when he first met me, it was pretty much years before he ever heard me directly discuss my kind of internal condition. [Laughs] Everything went into the poetry and into the songs. I think that’s really common with writers. So as I said, I kind of have the confidence of “I don’t really know how else to speak. This is the way I try to express myself.” This is the best I can come up with. And it’s been gratifying for me over the years that people seem to get my intent, my genuineness, whatever. All I’m trying to do is communicate, paint a picture, tell a story, tell you about something I saw or teach a little thing that I learned in the world. Gillian Welch: And my musical taste. That soundtrack was basically my record collection. That was the crazy thing about that phenomenon. That was basically my record collection. To have the world decide that it was a smash hit record was just, I don’t know, it filled me with a great feeling. Because of course, I had always loved that music. AD: It’s a record and a movie that’s considered a classic. Do you ever come across the ripples of the way that record affected people’s lives? I was in high school [when it came out] and I had not ever given traditional music a real shot. It introduced me to that world. Do you have a lot of people who tell you similar stories? Gillian Welch: I think they don’t even think about. I almost think it’s kind of taken for granted at this point. It sort of reveals itself, for instance, if Dave and I close a show with “Nobody But the Baby,” [which] I wrote off a scrap of a traditional field holler. If we play that song, I don’t think people are expecting it and there’s a big reaction. Everybody knows it. Even more than if I played another a cappella song, let’s say if I did “Bright Morning Stars,” some traditional a cappella song that I learned from the Stanley Brothers. Virtually no one’s gonna know that, but if we sing “Didn’t Leave Nobody But The Baby,” everybody knows it. That’s when I see it. Again, I don’t even think people talk about it that much. But I do think that the groundswell of roots-based music, I do think you have to credit that ten-million selling record with some of that, with introducing people to hearing those acoustic sounds. AD: A lot of the records that movie and soundtrack inspired, they weren’t great. They were sort of surface readings of what that album was about. Your music has always felt so much more rooted in reality. Sometimes it feels like [other] people are playing overalls dress up. Gillian Welch: I came to these sounds and this whole genre or whatever because I needed it, if you understand me. This is how I interface with the world. There’s nothing more powerful than our weaknesses and liabilities, you know? The first time I heard the Stanley Brothers, I just went crazy. Because I realized that this is what I’d been waiting for. These were sounds I could make. This is how I could play guitar. I don’t know, I recognized instantly that you could pour everything into this kind of music, there was nothing too dark. This is what all the metal guys know, the secret closeted folk-loving metal guys, because they know folk music is incredibly gnarly. I understood the language. It was just a really good fit for me. Just all of it. Some people, I don’t know, they like talking about jet planes and diamonds. I like talking about flowers and death. That’s just how it goes. That’s how I sort of get my point across. I love folk music. If anybody wants to make me a t-shirt that says “I heart folk music,” I would definitely wear it. AD: Well Gillian, thank you so much. It really was an extreme pleasure speaking with you. Again, I’m such a big fan of what you do. This conversation was originally presented as part of Aquarium Drunkard’s Transmissions podcast. Subscribe now via Apple Podcasts, Spotify, Stitcher, MixCloud, or the TuneIn app. New episodes monthly. Wonderful! Thanks for posting this. Love Gillian and David’s work not to mention T-Bone. This is what it’s all about.